Telenor is a world-leading, telecommunications operator who uses digital tools to empower societies. And with 34,000 employees across 13 markets, connectivity is the key to their company culture. Having the right collaboration tools in place can make the difference. For example, a Singapore-based VP switched to Workplace by Facebook’s audio and video chat functions to manage her Oslo-based team without relying on email. Her communications with the team have become more meaningful and productive. 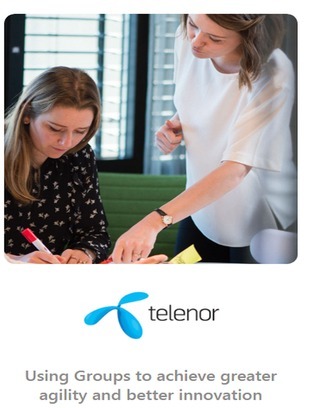 Watch this full video to explore how three-quarters of Telenor’s employees are now using Workplace for better connectivity and innovation across their workforce.